Place or geographic area will also have a say so in the type of weathering a model will exhibit. 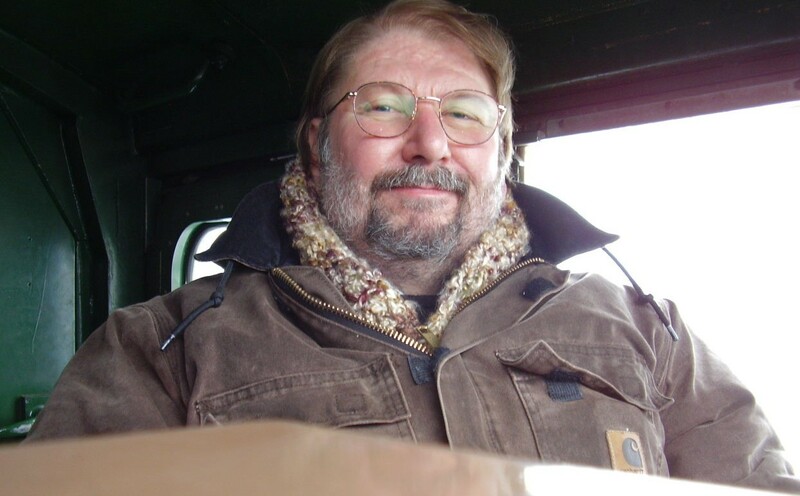 If it travels around the country it can pick up various different earth tones whereas a narrow gauge car that never leaves its home rails of the east may show reddish color in its accumulated dirt. The occupation of a car will recommend other colors. 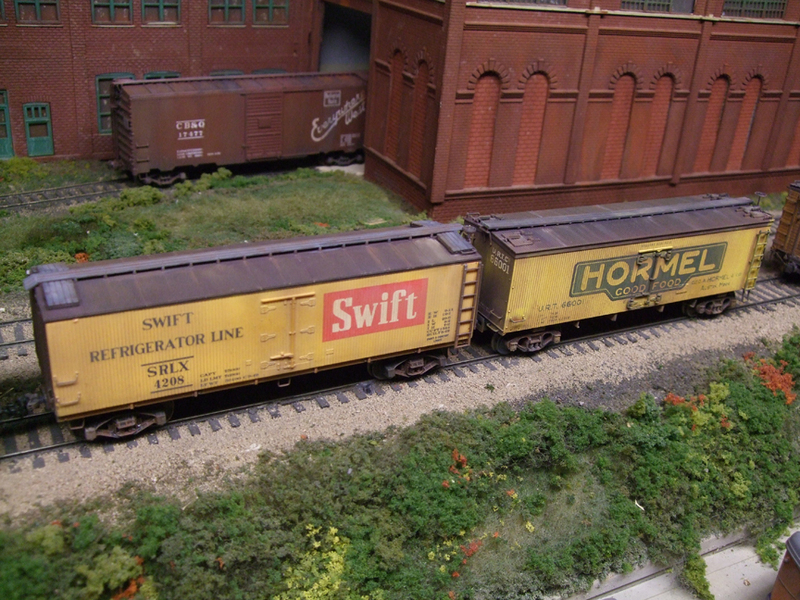 Boxcars used in general merchandise may show the usual fading and light rusting while cars used in flour loading will have small to large amounts of white around the doors and sides. Covered hoppers usually have a dedicated commodity to haul and that too can be shown. Smaller versions will show dry cement or Silica sand on it’s top deck and sides. 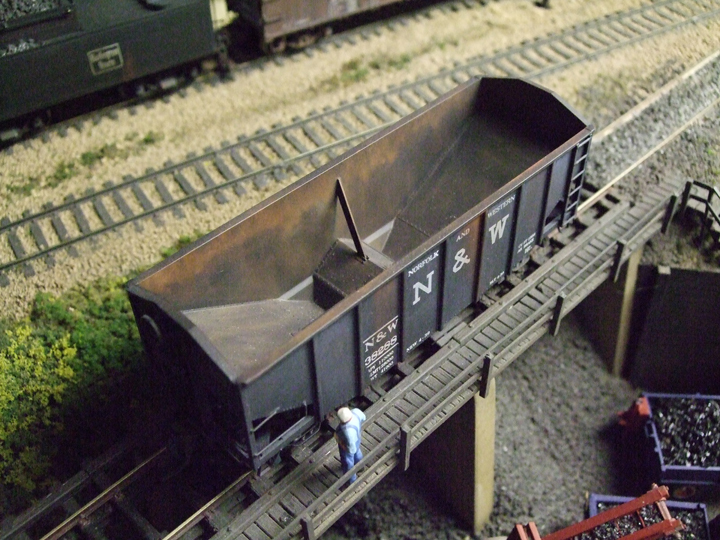 Larger 50 and 60 foot covered hoppers may be used in grain service or light commodities like pellet loading. Some of these will show light dusting with general fading and paint failure. Rolling stock used in the steel mills or scrap metal service will use shades of browns, oranges and yellow ochres. 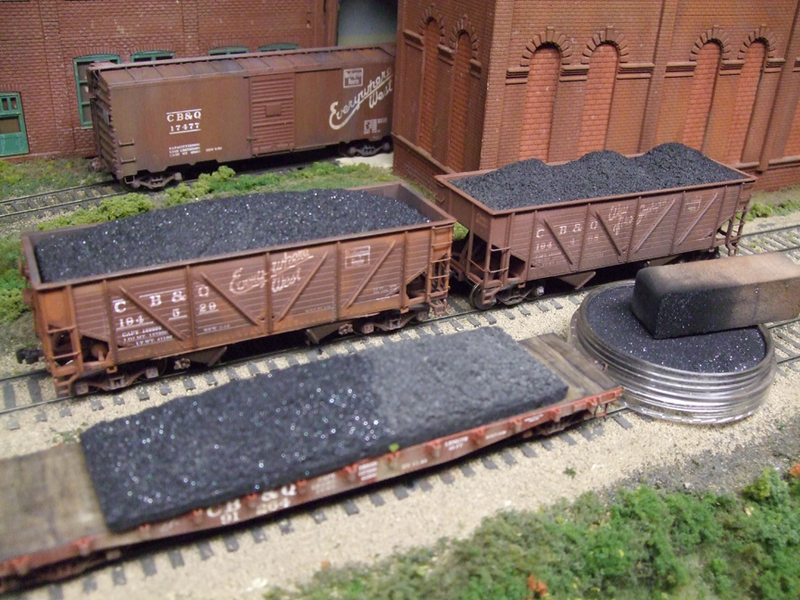 Coal hoppers and gondolas besides the fading of paint and silvering of wood on the sides of composite cars will have traces of coal. There is an amazing Jack Delano photo What a Dump: 1943 that is on the Shorpy.com website that has been my inspiration for weathering the insides of my hoppers. For more information on Prototype Modeler Rob Manley visit this page.